Last night I watched SpaceX launch Falcon Heavy and put their test payload (Elon Musk’s Tesla) into orbit. 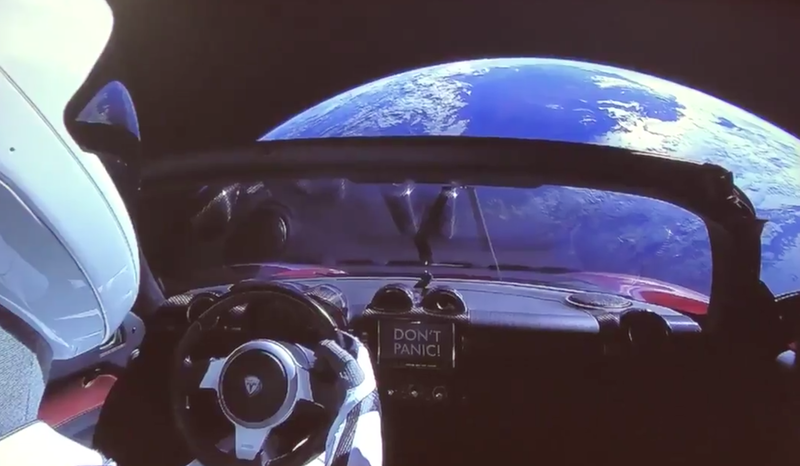 There were many highlights, not least the “Don’t Panic” on the Tesla’s dashboard, and the shot of a car in orbit around the earth, but for me, the synchronised landing of the outboard boosters sent a shiver up my spine. This was like something from the cover of the 70s science fiction novels I grew up with. It was balletic. You can watch the full launch, deployment, and landing here.